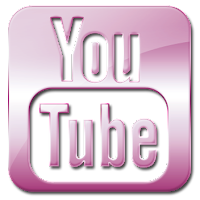 Big day in the world of Pamellia as I have just finished my very first video tutorial on my very own YOUTUBE CHANNEL!! Yay!! I have to say that this was just about as much fun as it gets!! Along with technique tutorials, I will also being doing a video Journal Series. Hopefully each page will feature different products, styles and techniques (until I run out of ideas that is). I would like to thank YouTubers Maremi SmallArt and france papillon for all the wonderful video tutorials, I have learned so much from them. I would also like to send out a special thank you to two wonderful and talented artists. Mo of So Much to learn, who has recently started her own mixed media blog called Old, New and Digital Too and has inspired me to pull my printer out of the closet and print off some digital images. And Jane of Jane's Journal, who does the most gorgeous journal pages and has been such an inspiration to me. Thanks Jane and Mo, this first page is dedicated to you! So here is the video for your Sunday afternoon viewing pleasure. I would love some feedback on what you like and what I could improve on. I learned quite a bit with this first one, but there are some bloopers that I hope you will overlook...silly camera and all that!! I shot in high quality so you can go full screen, I added some lovely music and time lapsed it. You will also notice that my right arm is twice the size of my left one. No, you're not imagining it. I have a condition that causes severe swelling, it never goes away but I do have good days...this was a good day. 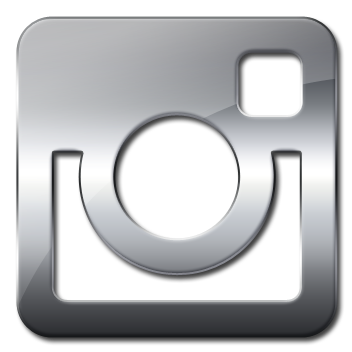 Don't forget to subscribe to my channel while you're there, not all my videos will be posted here on the blog. Thanks in advance for all of your support!! If anyone has any suggestions for Journal challenges that I can start following, please let me know. I liked every part of it, very detailed and colourful. Beautiful journal pages Pamellia, gorgeous colours and details as always, I will be sure to pop over to You Tube and take a look. These pages are beautiful, Pamellia! 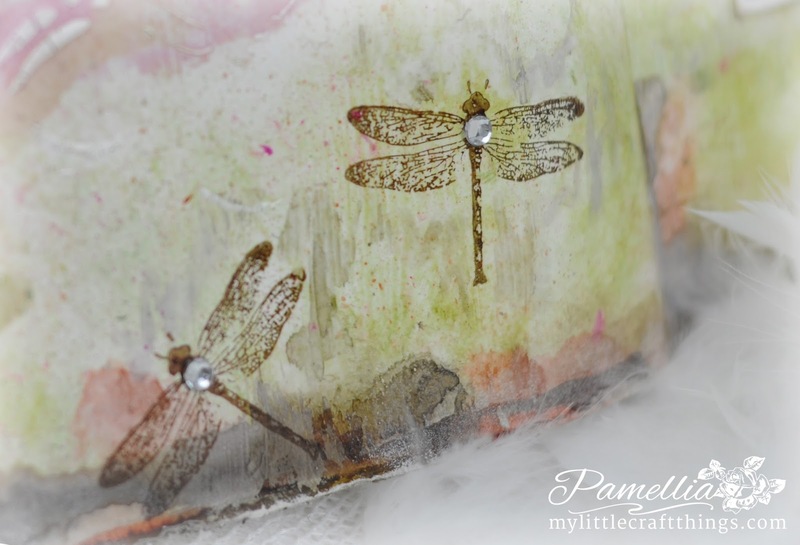 I love the video especially how you made the vellum dragonflies. I see I have a lot to learn. I didn't know about the technique of putting the flowers face down on the paper to release the image. Thanks for sharing. 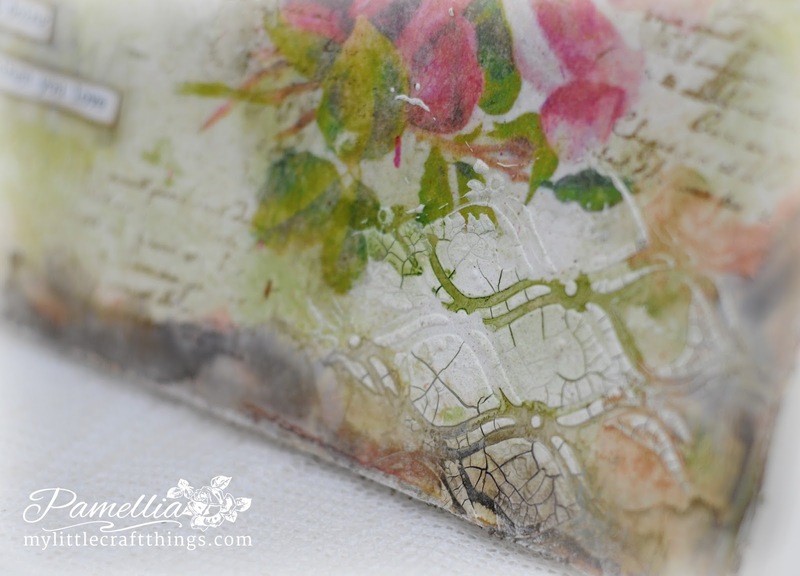 Beautiful journal pages ... I really enjoyed your video too! Gorgeous journal pages my dear!!! 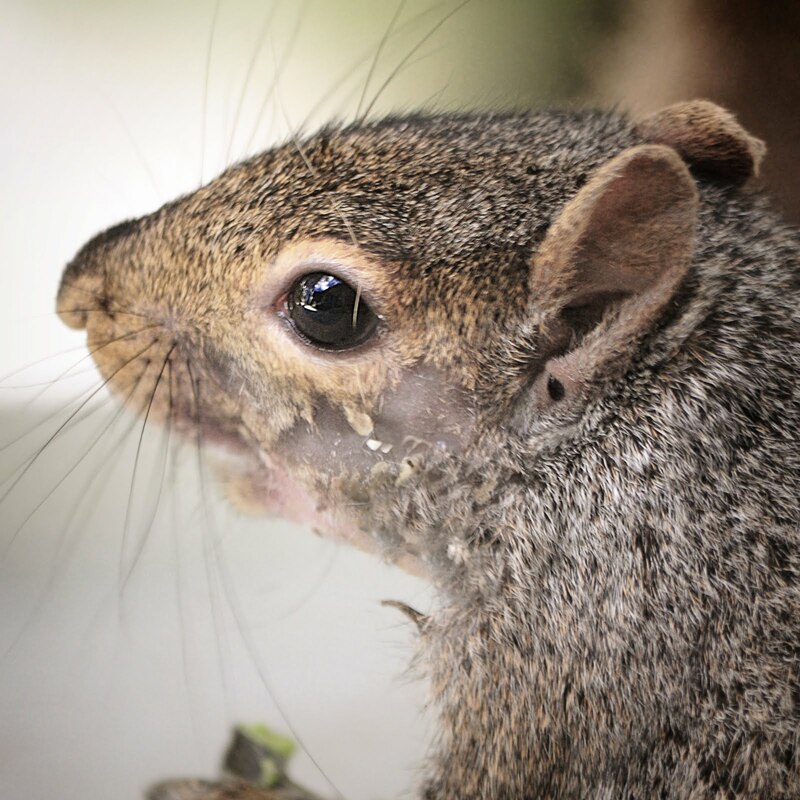 Loved the video and music choice:) I will see about signing up for your channel when I get home from work:) from one wounded hen to another: BRAVO!!! 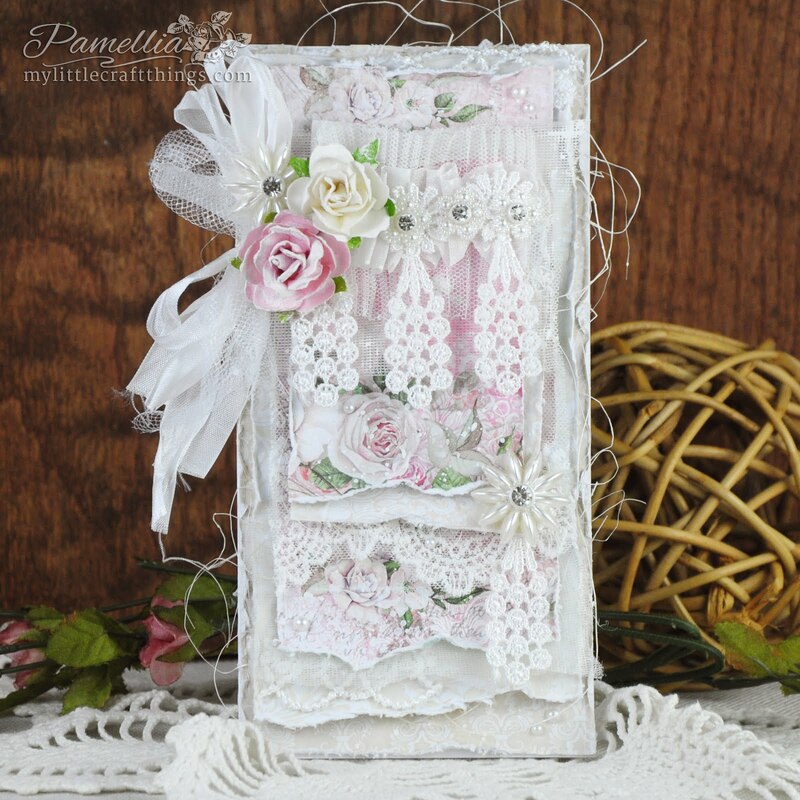 Wonderful pages ♥♥♥ I am subscribed to your channel Pamellia! Fab premiere! Looking forward to more on your YT Channel! Your artwork today is like a summers garden Pamellia, will pop back later for the video, the barbies on the go and I will get my knuckles rapped if I am missing for too long. Wow! Stunning Pamellia, Love this page. 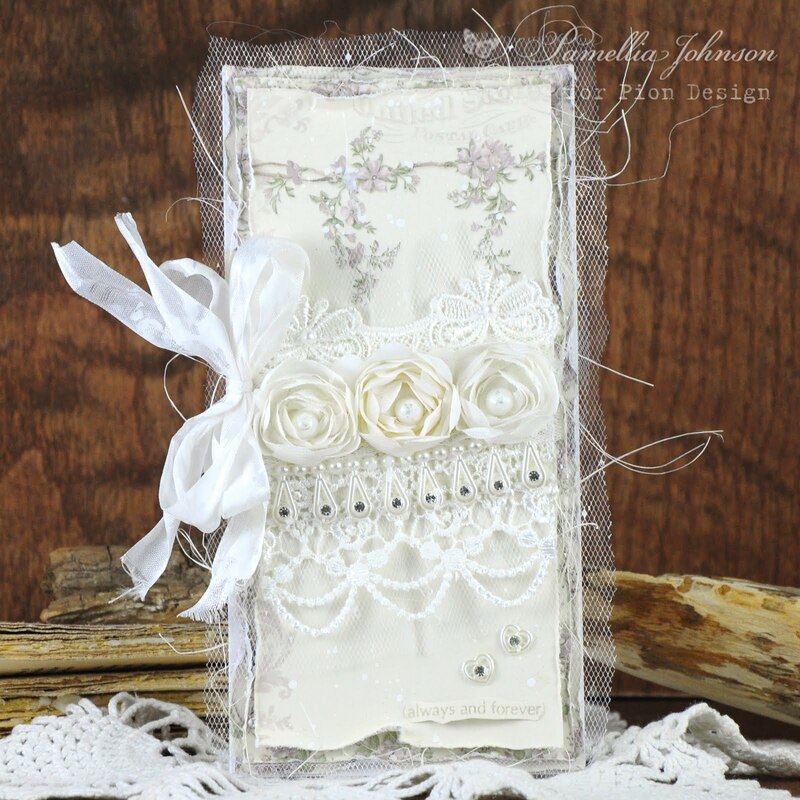 I love all of Jane's Journal creations so this is ace. I have thought today about starting one as I love the idea of just being arty in a journal rather than just cards but not sure whether I would find the time, will have to seriously think about it. Love all the elements in yours though so, so pretty. I shall look forward to viewing your first video...how exciting!!! A beautiful first page in your art journal. 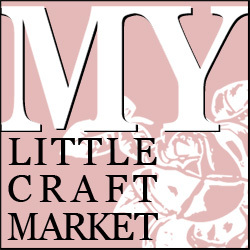 Thanks for joining us at Little Red Wagon this week. Congratulations on your first video...subscribed , watched and loved it! 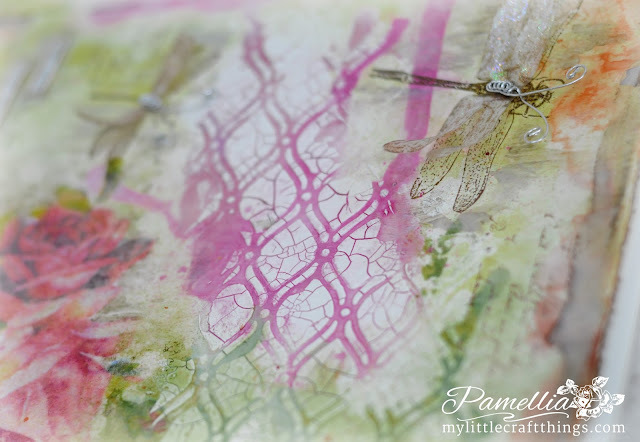 Beautiful project Pamellia love the colours and the dragonflies, stupendous creation. WOW!! 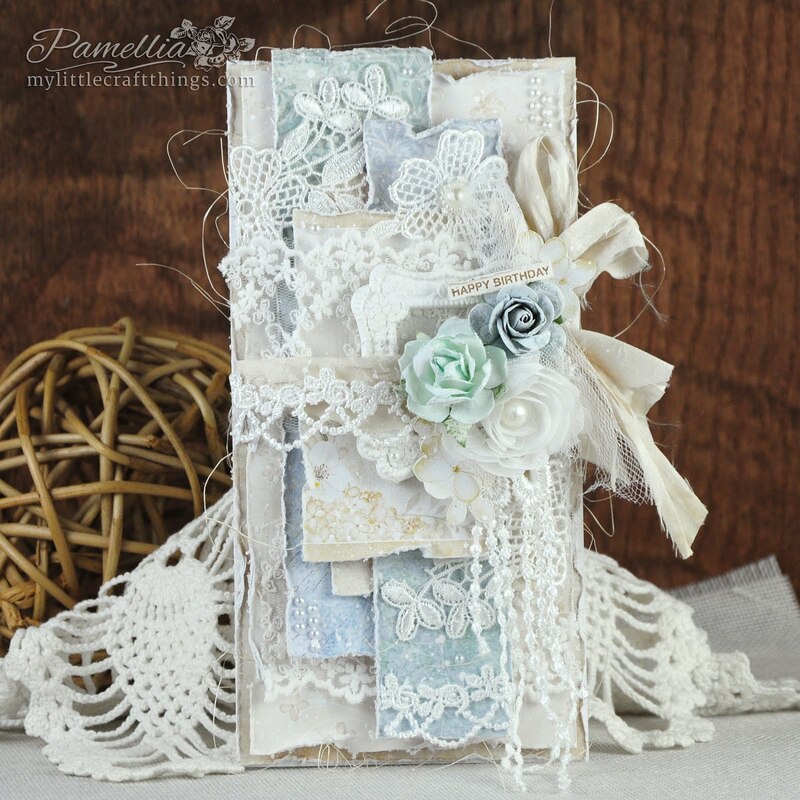 that was fantastic Pamellia..little bits I missed and panicked..never saw you move the clear block onto the journal and then you dropped ink onto it and I thought it was on your project..absolutely gorgeous and just loved the video..you made the whole thing look so effortless....brilliant. ABSOLUTELY WONDERFUL, BEAUTIFUL, STUNNING Pamellia. One of the PRETTIEST journal pages I have ever seen. EXPERTLY done. And the video - well, I am soooo excited to learn from you through these tutorials. CONGRATULATIONS - just soooo exciting. j.
I LOVE that you are doing videos, Pamellia! 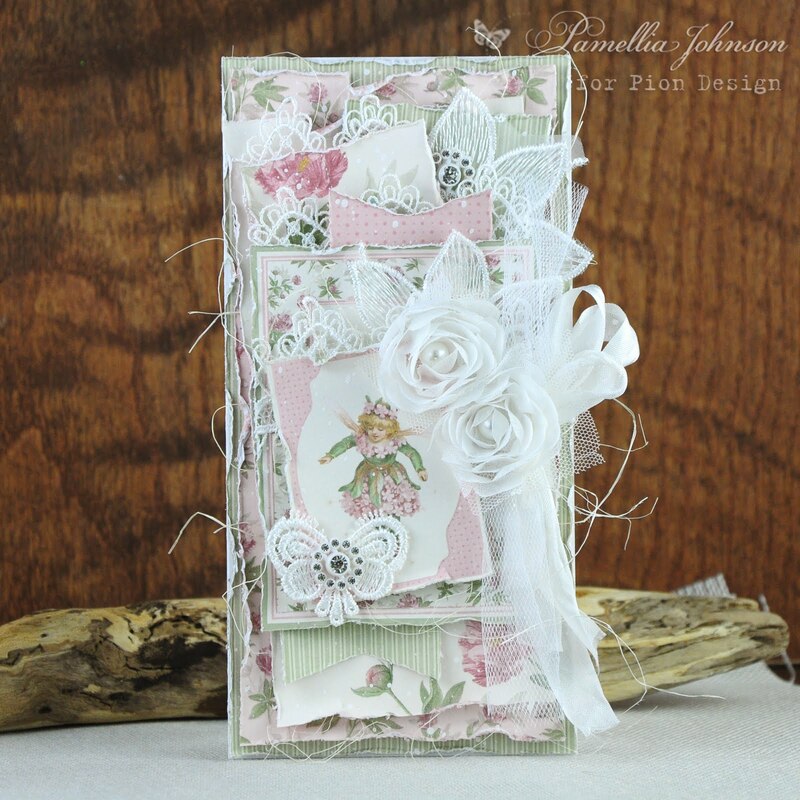 It was such a treat to watch you create your incredibly beautiful journal page! Just off to watch you in action. There seems to be no stopping you at the moment Pamellia, such a busy lady! 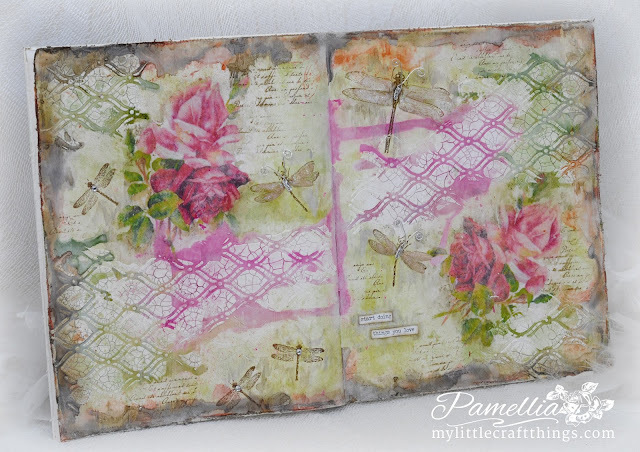 Stunningly beautiful journal pages Pamellia. 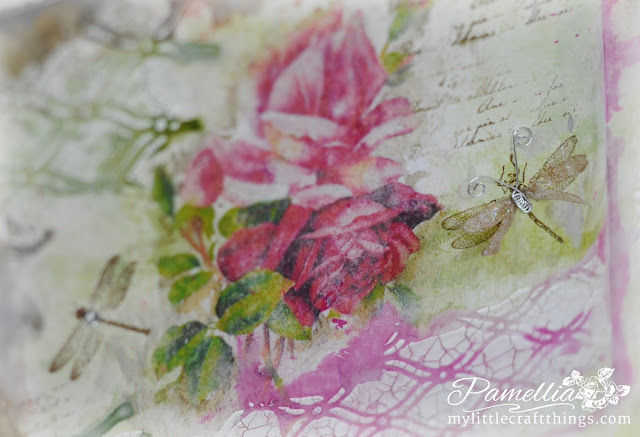 I love the use of the printed roses and the dragonflies are really pretty. Your video is amazing and expertly done. I can't wait to see your future videos, but I am off to watch this one again and quite possibly a few more times again after that. Sally.x. Congratulations, my dear, on your first video, it's fantastic! I'm subscribed and can't wait for more wonderful videos from you! 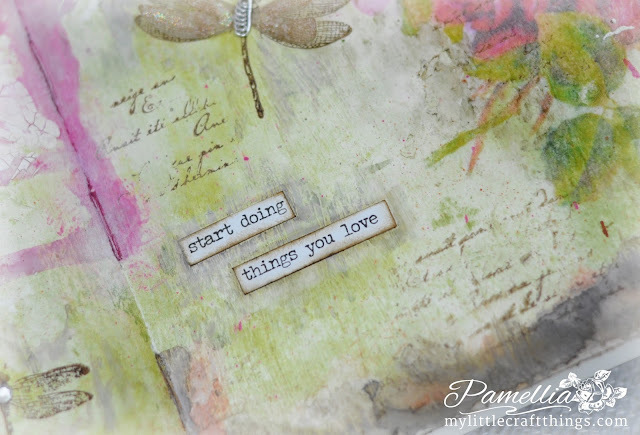 Everything you create in art is incredibly amazing so is this art journal page, Pamellia! Breathtaking and soo inspiring! 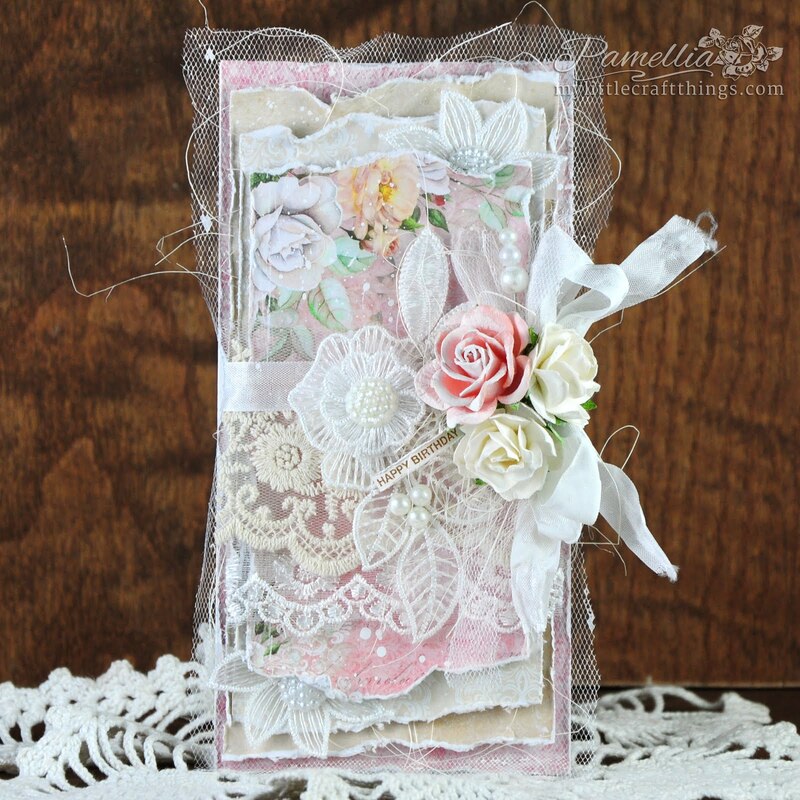 I love your Pamellia's style stunning shabby vintage art journal page! Bravo, my lovely! Fantastic debut Pamellia!! Only criticism is that there was no popcorn!!! Really beautiful journal pages, so interesting to watch your work flow and see how everything came together. Was surprised to see how effective your drawing in the shadings and rims added to the whole project (just near the end). Also the way you edged the pages with ecoline product was totally new to me, straws/pipettes are very useful. Stunning journal bags Pamellia. I love the design, gorgeous colours and pretty detailing. I am so pleased to see you have made your first video, thank you for sharing your amazing talent. I shall be popping back later for a closer look. 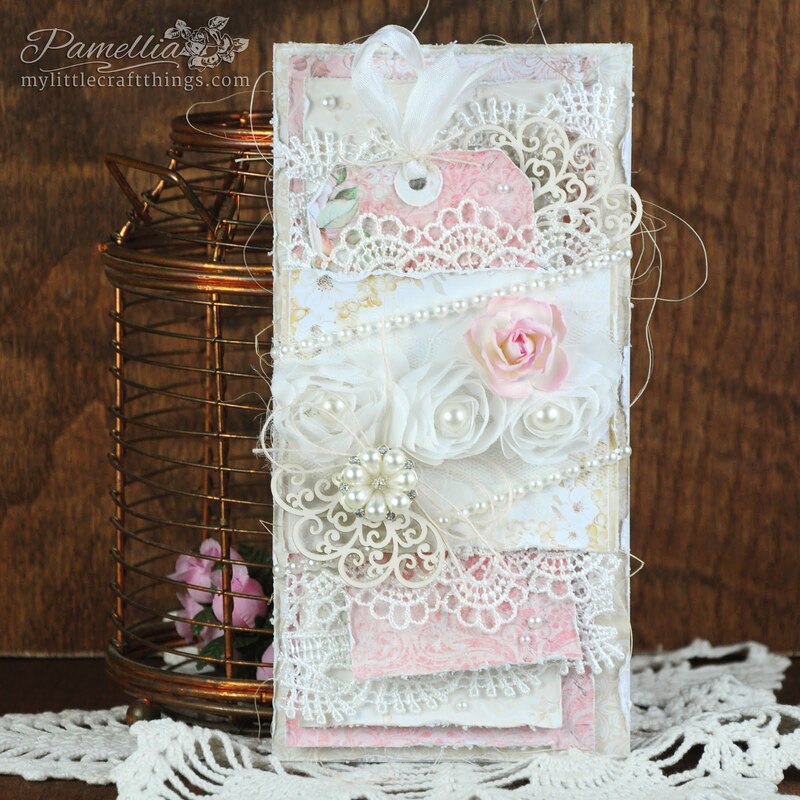 What a fantastic video Pamellia (I have subscribed) and I love the finished journal page, it is beautiful! Congratulations on your YouTube debut too - you truly are a woman of many talents! A gorgeous journal spread, good luck with your new video venture. 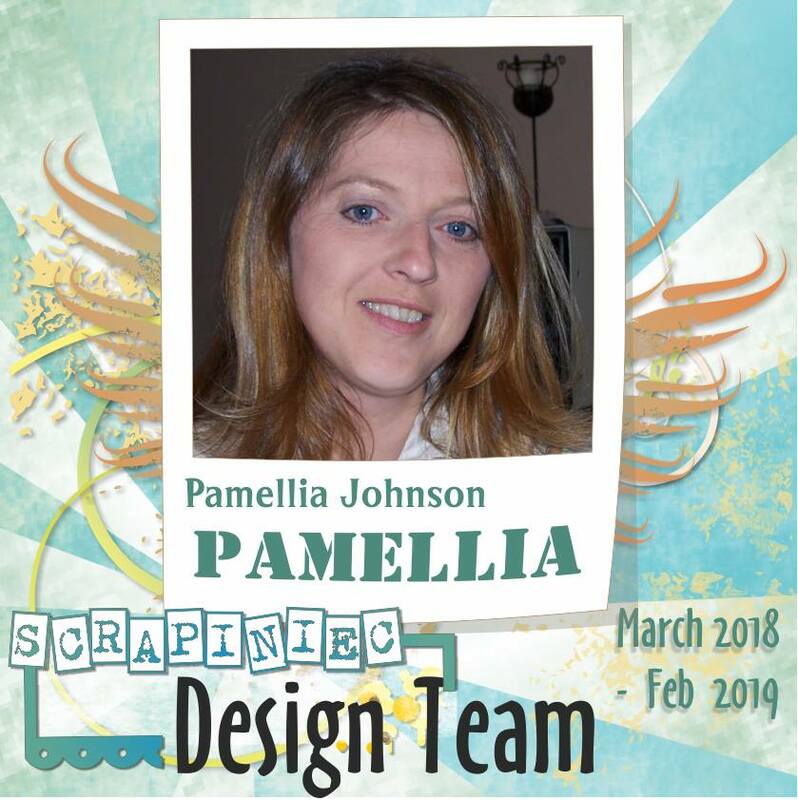 Well I think you shall be heading to the 'craft oscars' after that amazing video Pamellia. Was such a joy to watch and nice mellow music in the background. Congrats to you. Beautiful page, Pamellia! Congratulations on your first video! I enjoyed seeing you in action! I think this journal series is great because I want to start an art journal. Just not sure where to start, so thank you! Looking forward to more videos! Oh Pamellia it was just incredible to watch you work... Certainly can't wait for more!! I can see your inspiration from Marta, I just adore her work and such a coincidence for today with her guest appearance. I love what you did with the images and how you pulled them into the page with the paint, the dragonflies look like little magical creatures with the gorgeous sparkle. HUGE congrats on your first video hun, it was spectacular!! Beautiful journal pages . I watched your You Tube video great job . I've also subscribed to it . When I saw the title, I did think you had moved from wolves to insects lol! Lovely to see you at work. Have to say, I prefer tutorials with chatter rather than music, only because I'm easily distracted and start listening to the music hahaha! A beautiful project. Did wonder, is it special paper/card that you printed the flowers on to get them to come through on the reverse? Brilliant effect. Look forward to what's next. Ahhhh, Pamellia, much more than the breath of fresh air I usually get when I visit! This time it was like my very own canister of oxygen. This truly was the best eleven minutes of my life in a LONG time! My hats, gloves, socks and everything else I own for putting together this amazing video! Boy, I wish I could work that fast, and it is no wonder you seem like there are three of you going 24/7! I'm also green with envy that you have managed to make the loveliest journal page on your first go. I really have to go back and really drink this in, because I think I was in a bit of a trance with the music and all the artistic maneuvers. Not to mention stunned that you have just so much talent. So good to finally be that fly on the wall, but still wish I were there in person...I think we'd have so much fun crafting together...you would do all the crafting, and I'd watch and crack jokes. You could sing! I have subscribed, but we'll see if I can figure out how to find the channel I just subscribed to. Maybe Lauren can help me. by the way, I really felt like I was walking through a meadow on a summer morning! LOVELY! Big Hugs and huge congratulations! That's supposed to be hats, gloves, socks and everything else I own off...tee hee! My talented friend, this page is all things beautiful.... truly there is nothing you can't do! I am popping in a little comment now, but I will be back later when I have time to watch the video... that way I can properly gush. :o) This page is extraordinary and inspires me more than I can express. I will be back tonight, Pamellia! I am SO ecstatic for your YT channel. I have wished for videos from you, as I'm sure tons of us have. :o) You are a treasure! You video was FANTASTIC! Love the post and loved watching your steps! THX for taking the time to put this together! Will watch the video, too, thanks and hugs! Great video Pamellia and journal pages! The dragonflies look amazing! My dear friend, I am back! I saved your video for the very end of my day, where there would be no distraction. :o) I loved every beautiful minute of it! Like many, I have wanted to see you in action and this was spectacular! I LOVE watching your creativity ignite and bring beauty to life. 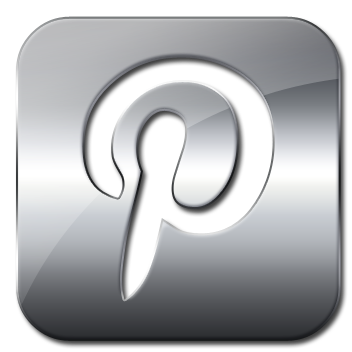 Your project is gorgeous! I love every element, every technique... I just don't even know what to say. It's overwhelming because I love so much. The design is amazing.. the stencil is a must-have.. and never ever has a digital image been used so brilliantly. The dragonfly wings are sheer magic. I happily subscribed and am excited for the next video! You did a fabulous job on this project AND the video! The music choice is beyond lovely, especially for my dancer heart. 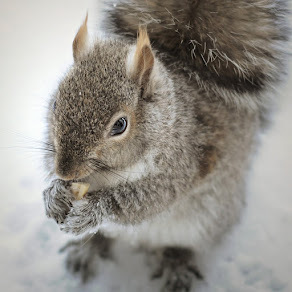 :o) You are a gift, my dear friend! Hi Pamellia, first congrats with your own YouTube channel and your very first video. 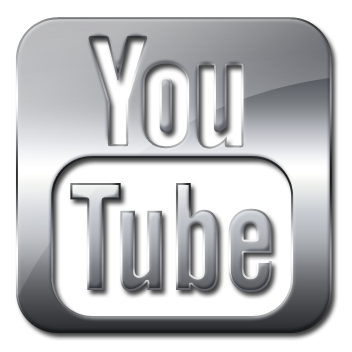 I truly enjoyed watching this video i just missed one thing,.... Your voice. I actually was looking foreward to hear you, i really did. Maybe something for next time ? Your journal pages are a true piece of art, so beautiful. Love it. I LOVED the video and you made it look so easy, one question, did you plan the project and end result, or did you just "go with it?" The colours and texture are fabulous, look forward to the more. Huge congrats, Pamellia, on your first You tube video. It was fabulous, and as a newbie to mixed media I learned a lot. The pages are gorgeous...my favourite colours! I loved all of it, but was amazed at how your tiny bit of shading around the roses really made a difference. I too love Jane's creations, and have been following her for some time now. I have also recently discovered Marta's blog and tutorials, and I can see how you have been touched by her magic videos. I have just subscribed, and very much look forward to your next brilliant episode. wow....amazing, beautiful....so well done. Great job with the video...congrats! I really enjoyed watching your process. Amazing results for sure. 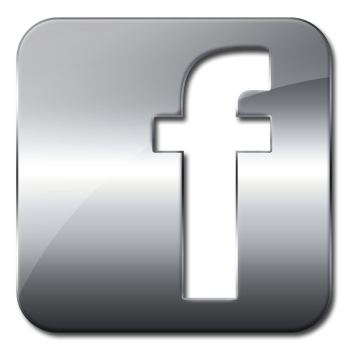 Iam having trouble with the tinternet so keeping it short and catching up . 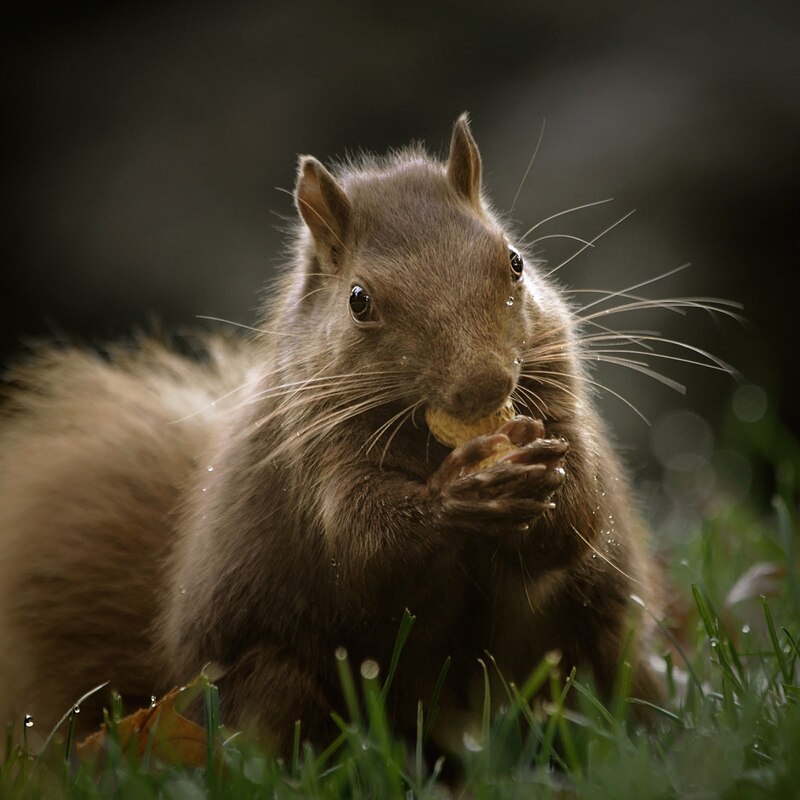 Wow this is a fabulous, great pictures and I enjoyed the video too. Congrats on the channel! I'm off to check it out! WOW what a gorgeous journal page Pamellia! I loved the video, it's so nice to see all of the step and techniques you used! You are so talented I would have thought you already had a youtube channel! Kudos Pamellia! I will be sure to check it out! 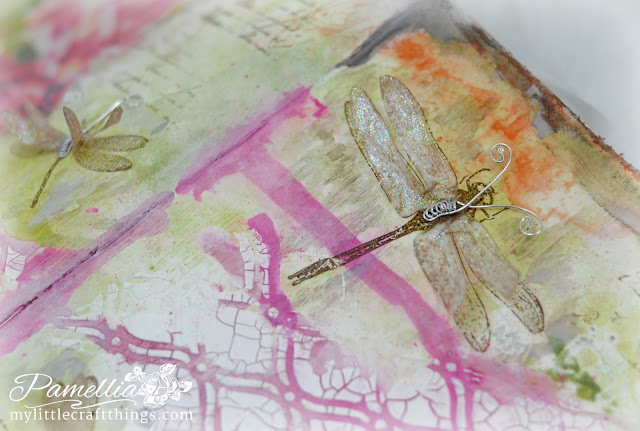 Love your journal pages and those dragonflies! Well done as always! Thanks for joining the team and I over at Just Us Girls for our summer challenge! 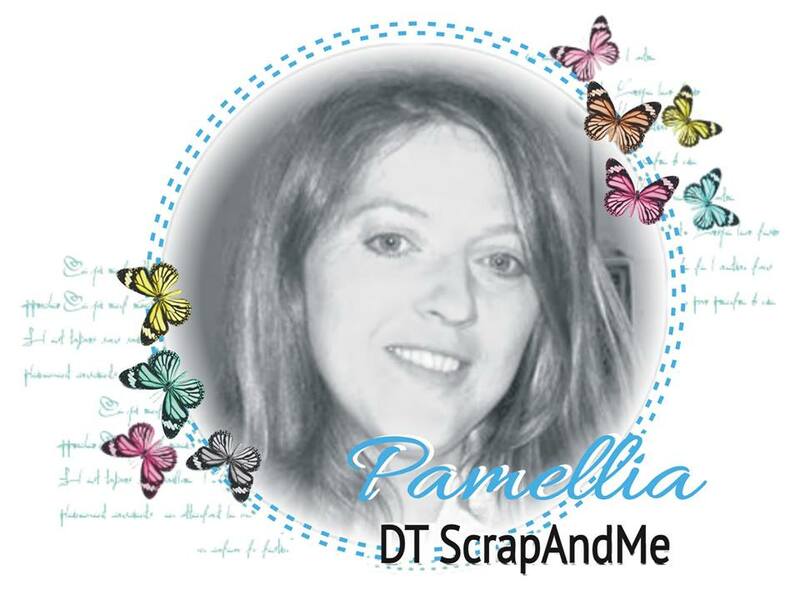 Pamellia, just watched your video and it is wonderful, you'd think you'd been making videos for years! It's just the type of video I love to watch, wonderful music, excellent explanations of your steps and fast forwarding at just the right speed so we can see how you achieve your amazing journal page. 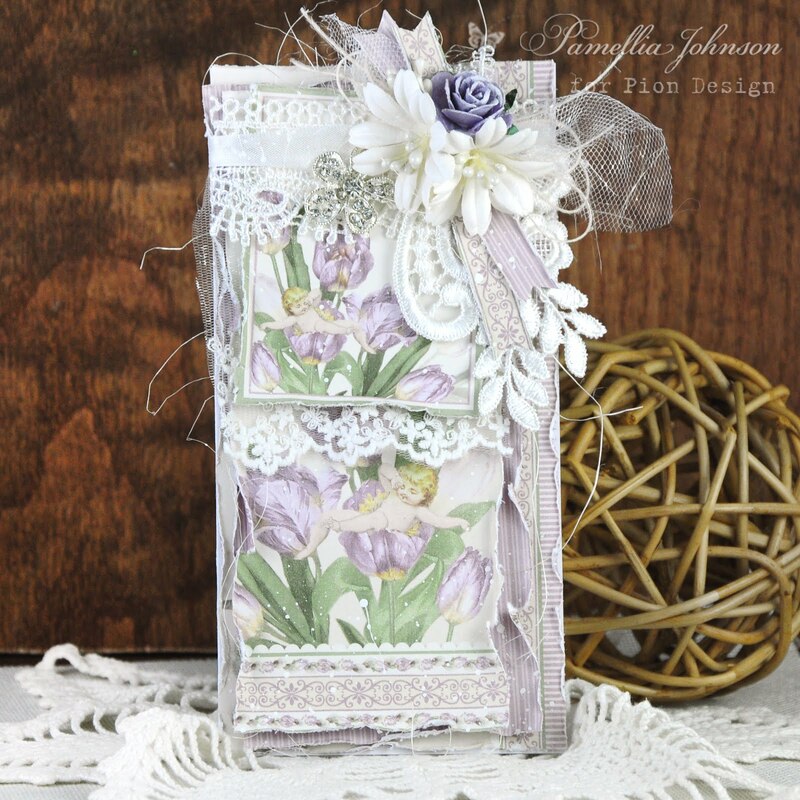 I am so excited to see how you create your beautiful projects, can't wait to see more, your dragonfly journal page is just stunning! Congratulations on this new endeavour, wishing you every success! 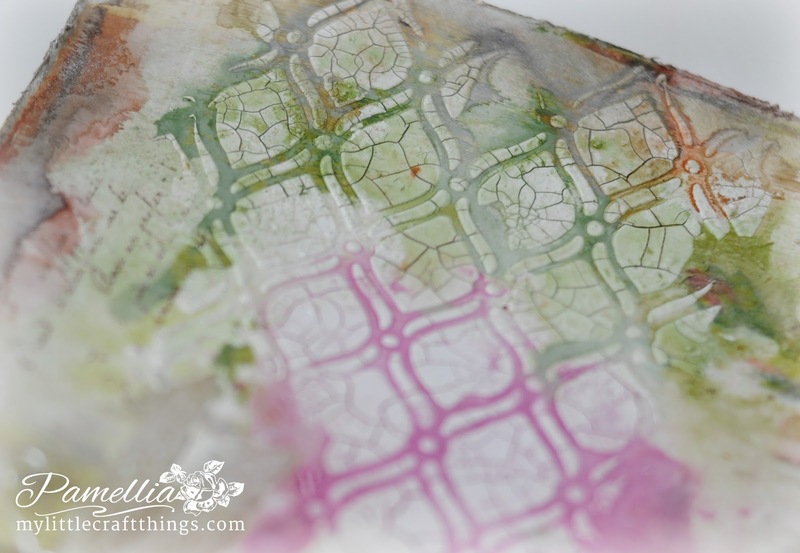 Such beautiful pages... so many lovely layers and fabulous crackle. Another video to save up and watch too - what a treat. Gorgeous page....love the video. Very clear instruction....look forward to more. Totally, totally mesmerising, and so relaxing to watch. I have been praying you to would make a DVD ever since I started following your work and now a star is born.. 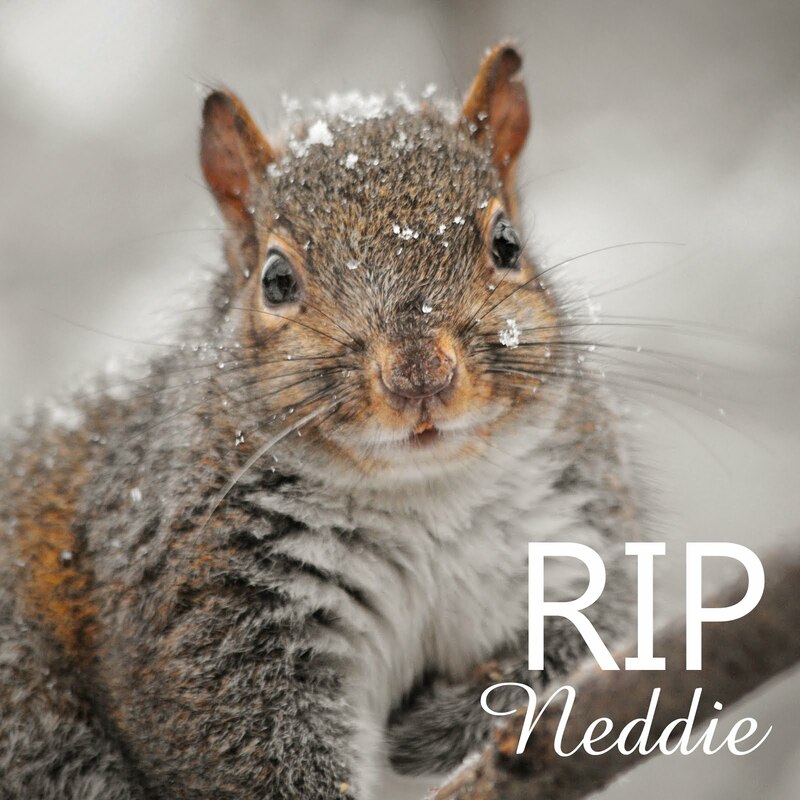 When I first saw that you had filmed yourself I had hoped to hear your voice but in fact the way you have done this is far better, the music was an excellent choice and the captions a great help. 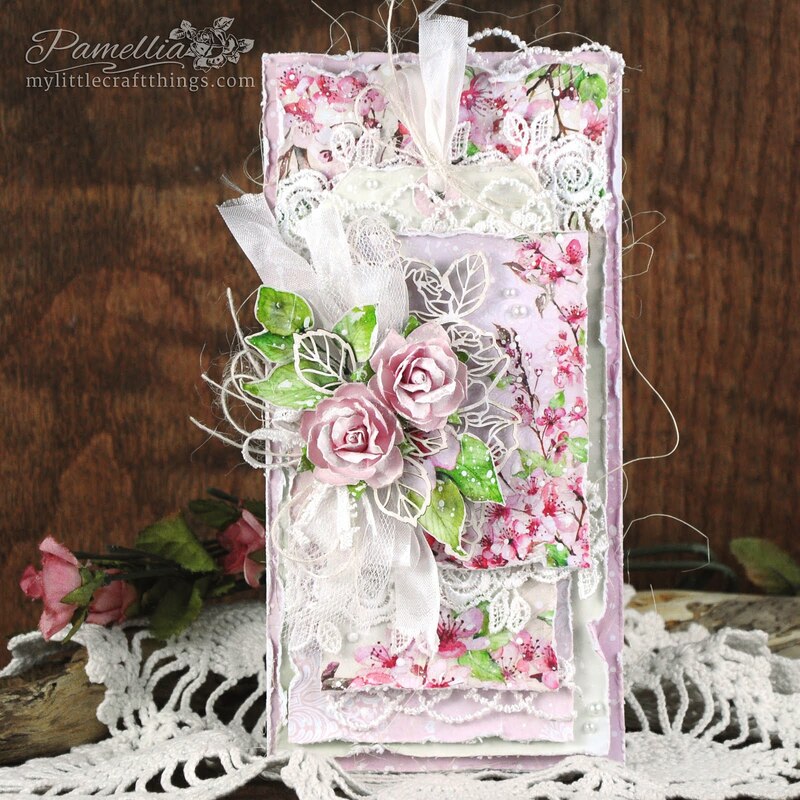 I was fascinated to see how you put your wonderful journal page together and it was inspiring to see all of the techniques you employ and your attention to detail - most people just distress their pages with a little brushed ink but Pamellia does it three times to get the effect just how she wants it. 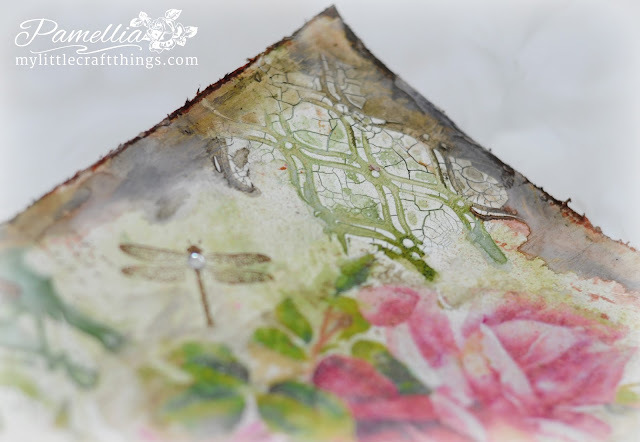 I loved how you transferred your roses to the page and and what a fantastic way to get your dragonfly antenna. I need to work out how I can keep all of these images available for quick reference, I wonder if you can save them on itunes or something like that, do I need your permission to download them? This was a really wonderful experience Pamellia, I can't wait for the next video.